In today's Europe, deep cracks are showing in the system of political cooperation that was designed to prevent the geopolitical catastrophes that ravaged the continent in the first half of the twentieth century. Europeans are haunted, once again, by the specters of nationalism, fascism, and economic protectionism. Instead of sounding the alarm, many conservatives have become cheerleaders for the demise of the European Union (EU). This compelling book represents the first systematic attempt to justify the European project from a free-market, conservative viewpoint. Although many of their criticisms are justified, Dalibor Rohac contends that Euroskeptics are playing a dangerous game. Their rejection of European integration places them in the unsavory company of nationalists, left-wing radicals, and Putin apologists. Their defense of the nation-state against Brussels, furthermore, is ahistorical. He convincingly shows that the flourishing of democracy and free markets in Europe has gone hand in hand with the integration project. Europe's pre-EU past, in contrast, was marked by a series of geopolitical calamities. When British voters make their decision in June, they should remember that while Brexit would not be a political or economic disaster for the United Kingdom, it would not solve any of the problems that the "Leavers" associate with EU membership. Worse yet, its departure from the European Union would strengthen the centrifugal forces that are already undermining Europe's ability to solve the multitude of political, economic, and security challenges plaguing the continent today. Instead of advocating for the end of the EU, Rohac argues that conservatives must come to the rescue of the integration project by helping to reduce the EU's democratic deficit and turning it into an engine of economic dynamism and prosperity. Chapter 2-What Has the EU Ever Done For Us? 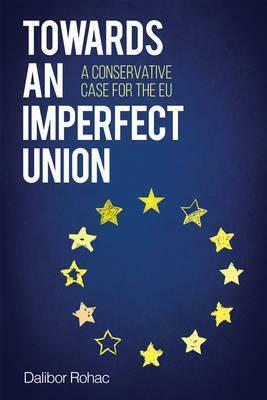 Towards an Imperfect Union mounts a formidable defense of the rationale of the European project. Mr. Rohac also makes a powerful metaphysical argument for maintaining the union. Conservatives tend to be skeptical of radical and irreversible change. The consequences of breaking up the European Union are not foreseeable and could very well be unpleasant. Stepping into the unknown in this way, Mr. Rohac concludes, is not something that any true conservative should be doing. * The Wall Street Journal * In seven short chapters that are accessible and well documented, Rohac explains how the EU has generated unprecedented peace, democracy, and economic growth in Europe. Progress such as this would not have been possible with authoritarian tendencies, belligerence, and protectionism. The book warns of similarities between the pushback to a stronger EU and the isolationism of the interwar period that contributed to WW II. Because of this danger, Rohac debunks the arguments that attract European conservatives to become Euro-skeptics: loss of national sovereignty, excessive bureaucratic regulation, or too much power given to economic elites. Rohac looks at current European trends: the endless Euro crisis, growing resistance to the free movement of people, and the absence of a common asylum and border policy. Backed by an extensive cohort of conservative thinkers, Rohac argues that the solution is a more powerful set of European institutions. This conclusion may seem counterintuitive because nowadays many conservatives embrace nationalistic sentiments. Nevertheless, the analysis is solid. In the final chapter, Rohac recommends changes to EU institutions to improve levels of citizen representation and, of course, economic growth. Dalibor Rohac is a research fellow at the American Enterprise Institute, where he studies European political and economic trends. He is concurrently a visiting fellow at the Max Beloff Centre for the Study of Liberty at the University of Buckingham and a fellow at the Institute of Economic Affairs in London. Rohac's analyses and commentary have been published widely, including in the New York Times, Financial Times, Foreign Policy, and the Wall Street Journal.